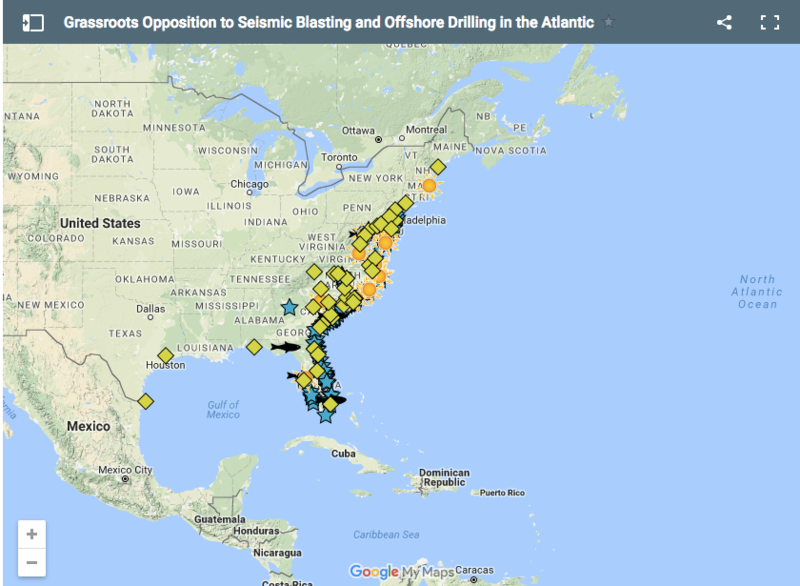 Based on strategic insights shared by field organizers and campaign managers, data from pledge sign-ons and media hits, and feedback from campaign partners, Climate Access and Oceana co-authored a case study describing the communications and organizing approaches used to block oil drilling off the Atlantic coast. “At the onset of the campaign, the political outlook was bleak,” says Claire Douglass, Climate & Energy Campaign Director at Oceana. Though Oceana’s Atlantic offshore campaign had been building slowly for years, it kicked into high gear in early 2015 after the Obama administration included East Coast drilling in its draft five-year plan for oil and gas development in the Outer Continental Shelf. So how did Oceana and partners successfully turn this situation on its head? By Oceana’s assessment, three key approaches helped mobilize coastal stakeholders to successfully oppose offshore drilling in the Atlantic: reframing the issue as a threat to local communities and economies, connecting with new audiences and non-traditional messengers, and focused organizing in communities that would be directly affected by the drilling proposal. Based on strategic insights shared by field organizers and campaign managers, data from pledge sign-ons and media hits, and feedback from campaign partners, Climate Access and Oceana co-authored a case study describing the communications and organizing approaches used to block oil drilling off the Atlantic coast, a victory that was won last March and reinforced in January of 2017 when the Obama Administration denied all seismic airgun permits to search for oil and gas in the Atlantic. Climate Access members can read the full case study. Not yet a member? Sign up for free to get full access to this case study and the entire Climate Access Resource Hub.